Looking for some super cute ways to decorate your ornaments this season that won't break the bank? 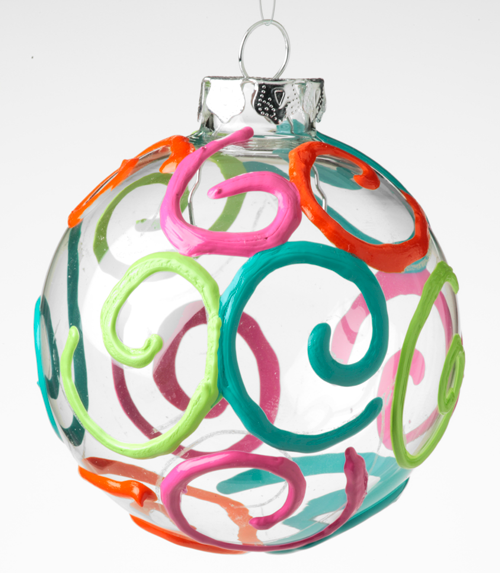 Whip up some adorable ornaments in minutes using a craft closet staple - Puffy Paint! Now, when we talk about Puffy Paint, we actually are talking 3D Fabric Paint! We make several brands of this paint, but recommend the Scribbles or Puffy Paint brand, which can be found at your local craft store! 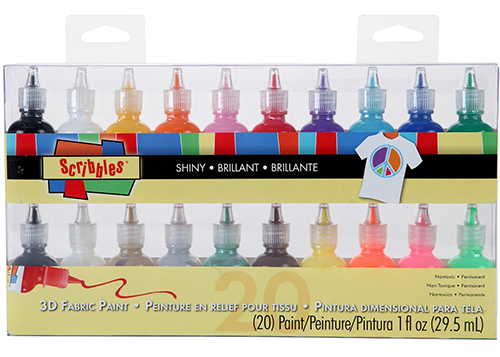 This pack is perfect for this project and gives you a wide variety of paints to get crafty with! There's also another 20 pack that has iridescent and glitter finishes you might like as well. Another thing to consider before starting this project, is having an ornament hanger on hand for letting your ornament dry. You can buy a 6 pack like this one on Amazon -or- make your own from a wire hanger. Another idea is to get a piece of foam like Margot did for her ornaments in this ornament post, then you poke wooden skewers into the foam. You simply let your ornaments dry upside down. 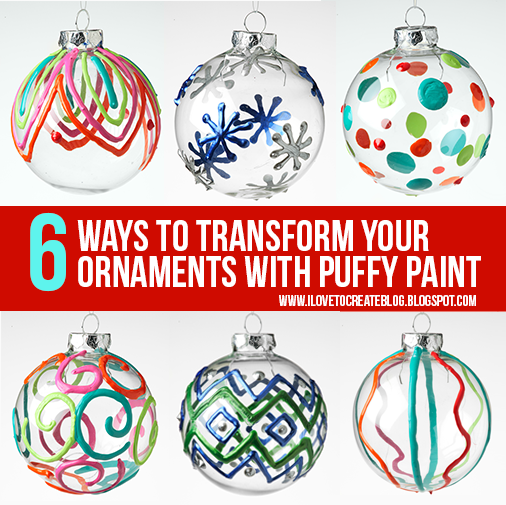 There are a lot of possibilities for "puffy painting" your ornaments. Here's a few ideas that are simple and so easy to try! 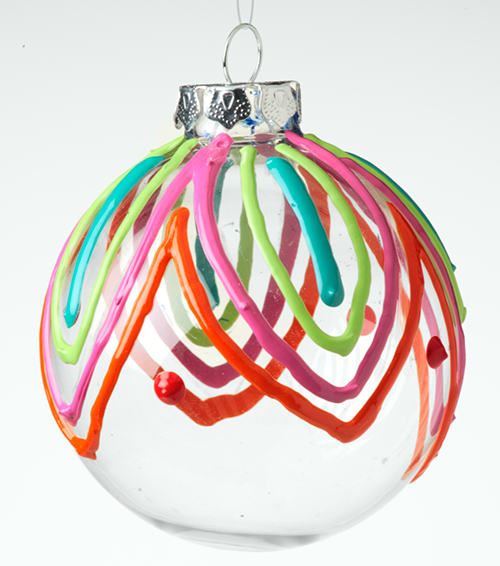 Add a few lines and squiggles for a super simple ornament. 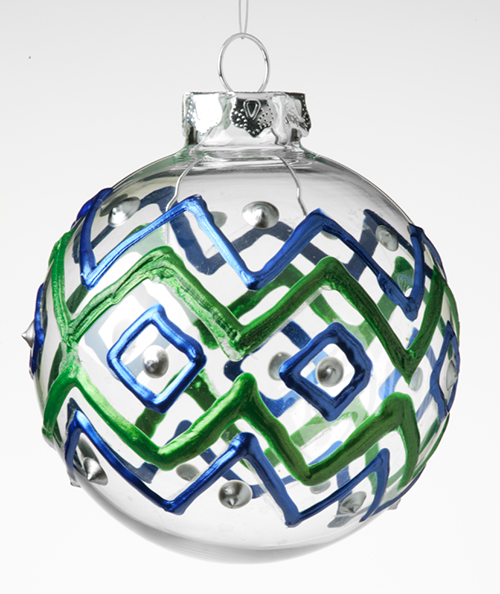 For this one, from the top, we drew four teal lines and connected them at the bottom of the ornament. Then in between each line, we added a colorful squiggle. It doesn't get eassier than this! For this leaf-inspired design, from the top of your ornament paint 4 one inch lines of dimensional paint like the 12-3-6 and 9 hands of a clock. Take your next color of paint and draw a petal leaf shape all the way around the first line of paint. Follow that paint color up with another color of paint, then another to make this pretty leaf-like appearance. You could also slightly modify the shape of this design by making it more scalloped and curved if you wish! Make this diamond ornament in minutes. 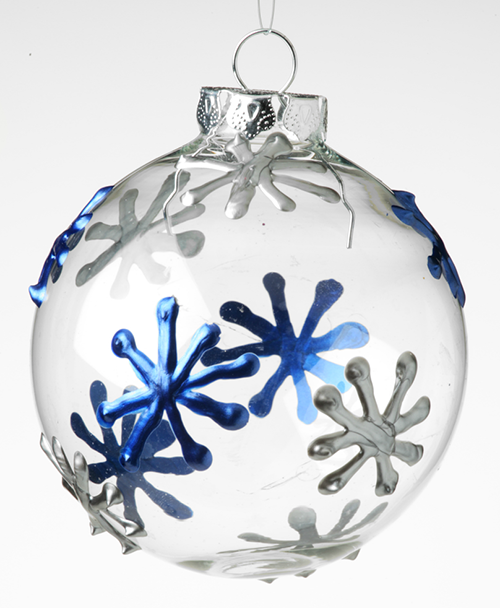 Start off by creating your dots and diamonds in the middle of your ornament. We made seven going all the way around the ornament. Then we zig-zagged around those diamonds in an alternating color. After you've done that zig-zagged diamonds add another zigzag row to top and bottom. Accent with more dots! This simple ornament is perfect in polka dots! 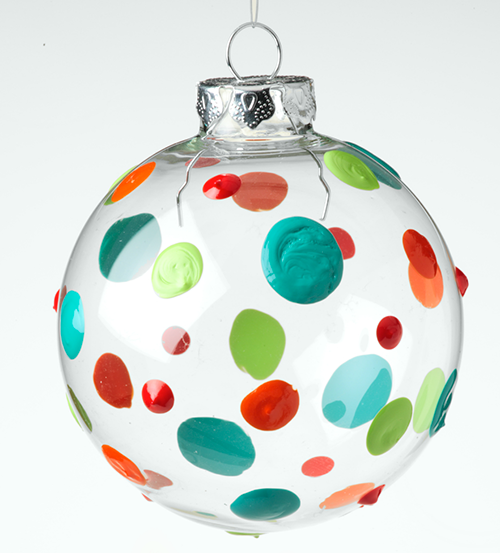 Simply squeeze on the paints in random dot sizes all over your ornament. If you notice, we chose to make our red dots smaller than the teal dots. It's up to your preference on colors and positioning, just make sure not to apply too large of dots, or your paint may start dripping down your ornament if too much is applied. These might just be the simplest snowflakes to make ever. Start by squeezing 8 dots in a circular pattern with the paint. Then connect each dot to it's opposite dot! Easy peasy. Swirls are so much fun to make and are addicting. They are kinda like creating loopy C's, G's and E lettering! Change them up by squeezing them clockwise and counter-clockwise, rotating as you go. The cool thing about using dimensional paint is that you can wipe it off if you make a mistake, so it's pretty much full-proof! 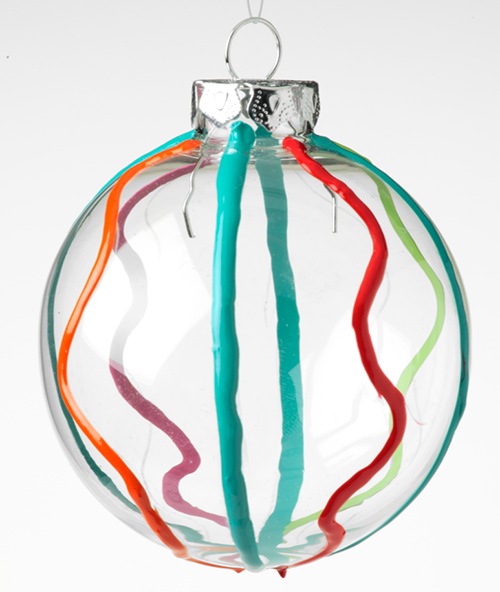 What other dimensional designs can you dream up to decorate your ornament? We'd love to know in the comments below!!! !